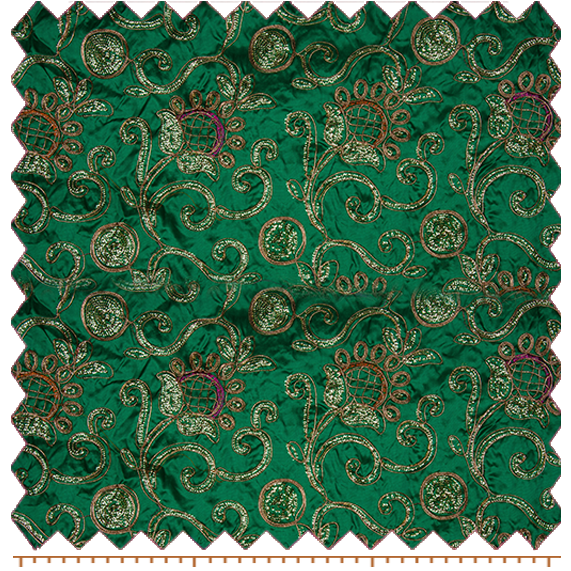 Nothing compares to the grace and majesty of the Almighty. 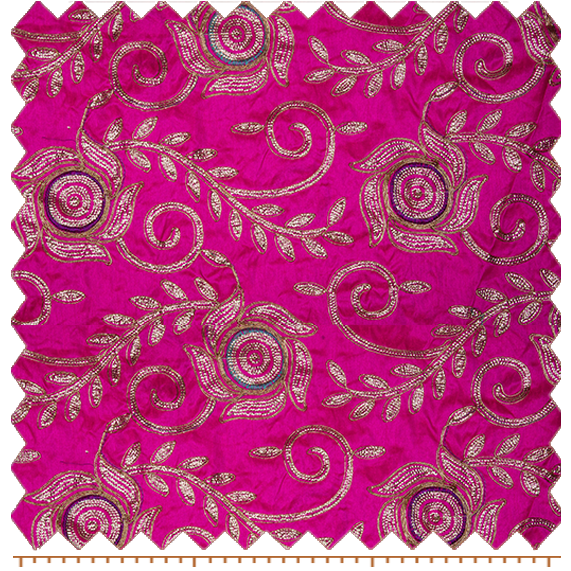 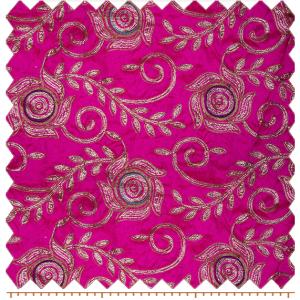 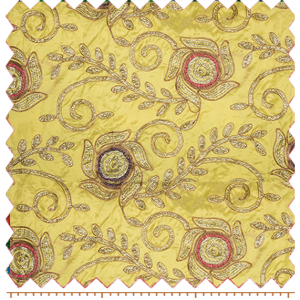 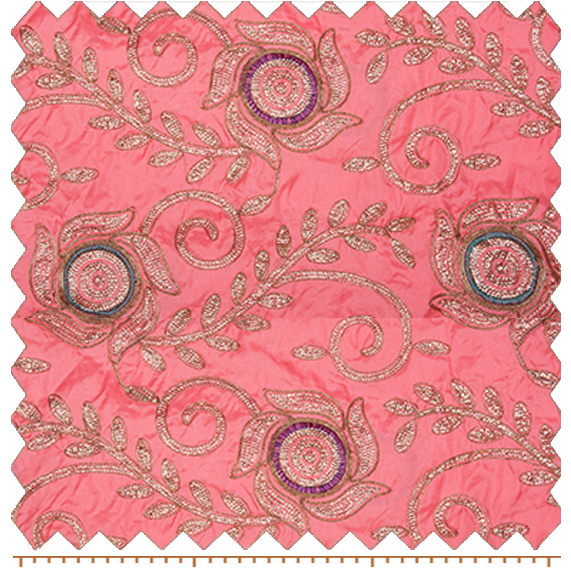 And as a tribute to this infinite beauty, Holy Fabrics fashioned the Zari Thread Work embroidery fabric. 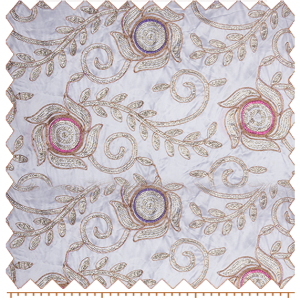 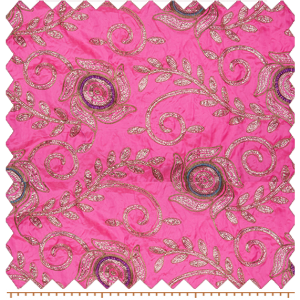 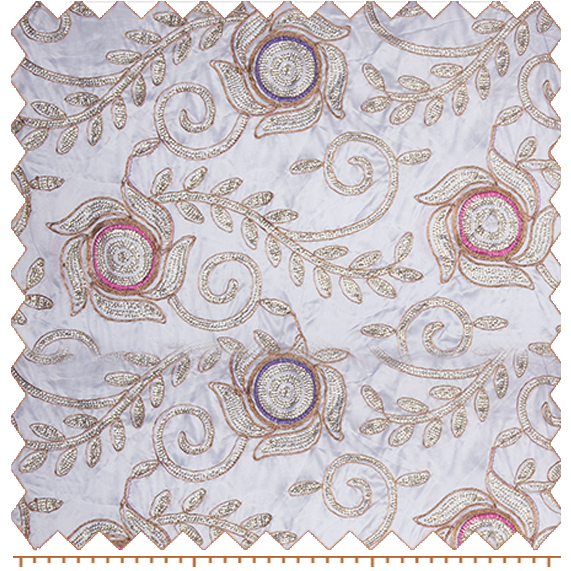 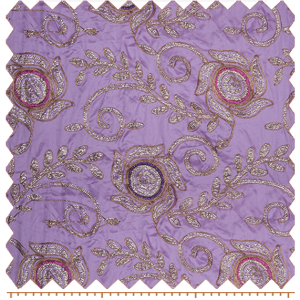 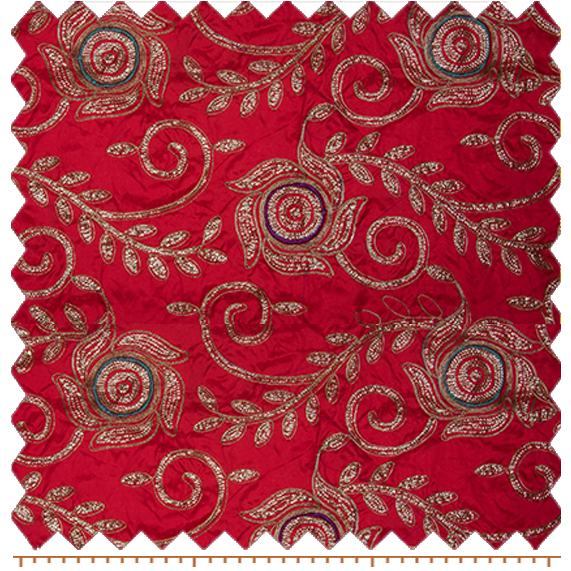 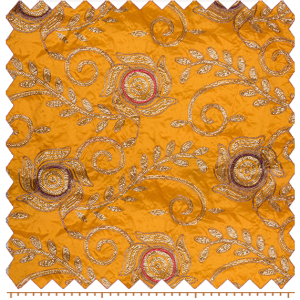 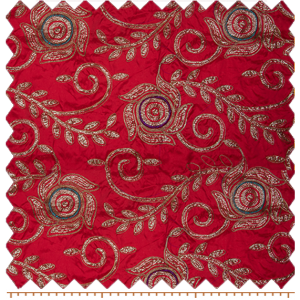 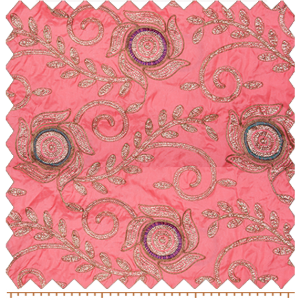 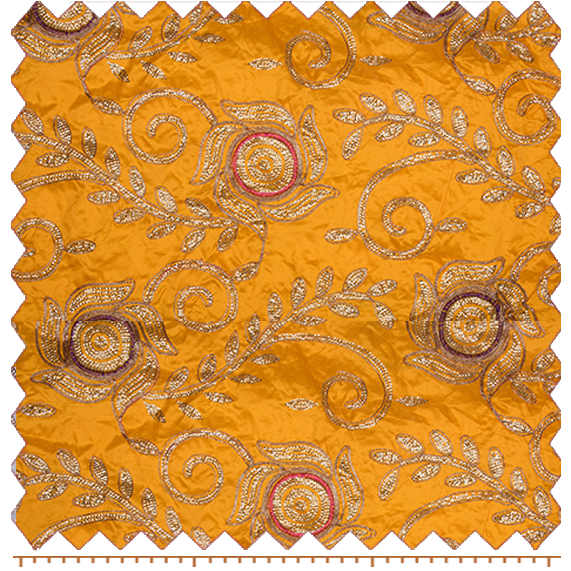 The Zari embroidery holds an ancient and rich lineage, dating back to the era of the Mughals. 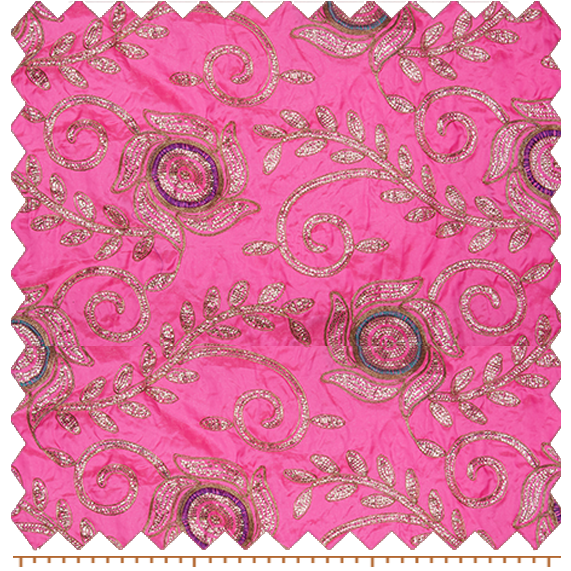 Its intricate patterns symbolise affluence and elegance. 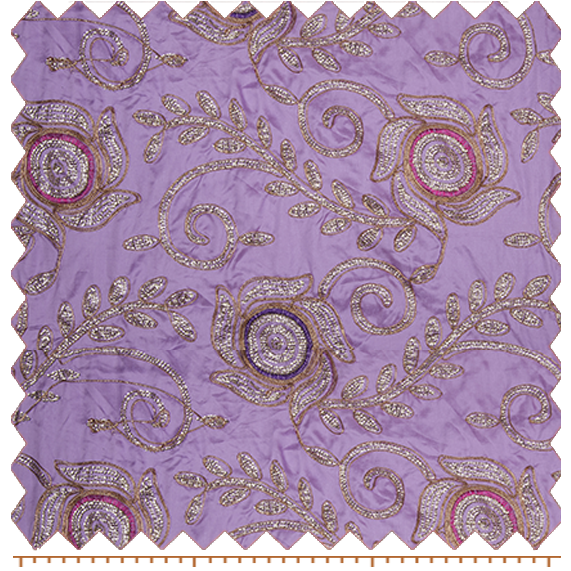 In the days of yore and kings, real threads of gold and silver were used in Zari embroidery. 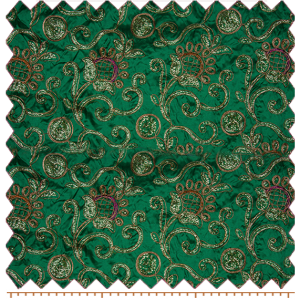 Even though it might not be as luxurious, its still as imperial as ever. 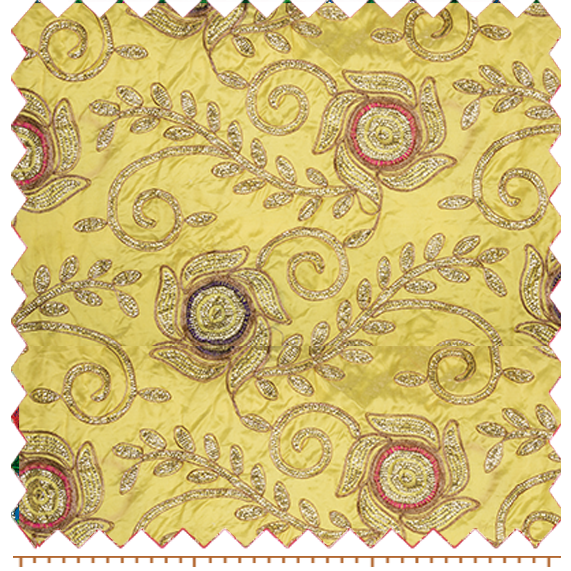 Demanding a certain kind of craftsmanship, the Zari embroidery fabric is everything a devotee would bring to his master.